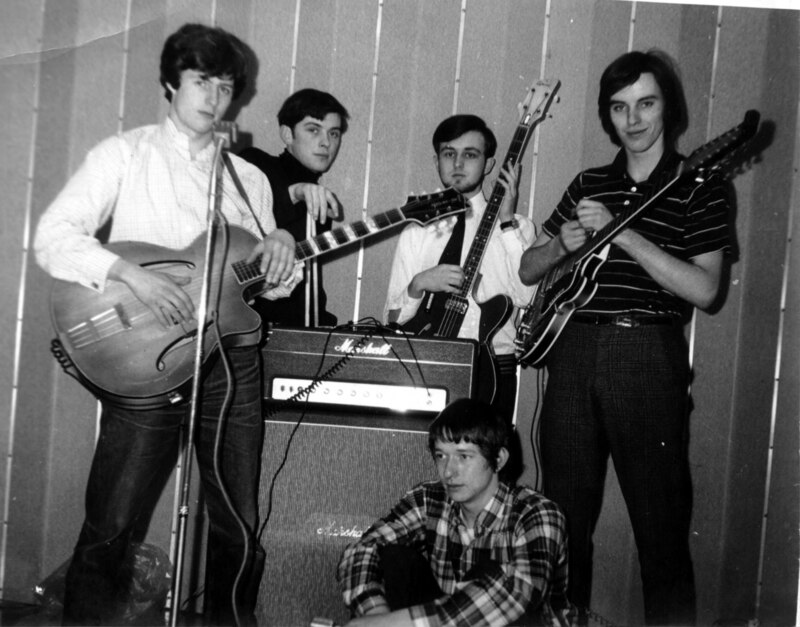 Part of Watford music scene in the sixties when many of the top groups came to play on Friday or Saturday night at the Watford Trade Union Hall or during annual Rag week at The West Herts College. 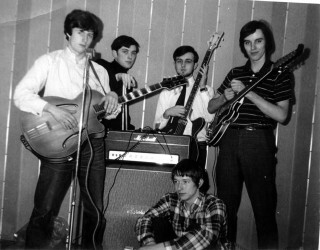 The TRACK were a local band who played gigs in and around Watford from 1964 -1967 and played support group to several chart topping bands of the period including The Moody Blues, Unit 4+2 and The Roulettes (Adam Faith’s backing group). The Track was forced to reduce the amount of gigs played after the group’s Bedford van (insured third party only) was written off by the lead singer when driving down a Welsh mountain side. Members of the band included singer Bill Cornwall (Bushey resident last heard of living in California), lead guitarist Roger Pearson (Oxhey), bass guitarist Richard Jordan (Oxhey), rhythm guitarist Graham Belfry (Northwood) and drummer Jim Carter. Richard Jordan’s father Walter (Wally Jordan) was one of the four founding members of the Watford Harriers C.1924. This page was added on 02/10/2013. Hi Richard Jordan, Now that’s a ‘blast from the past’. You probably won’t remember me, but our parents were close friends back in the 50’s. Rose & Percy Sharman from Middle Way, Watford. I remember Auntie Francis & Uncle Wally with affection. We often visited you all in Vivian Gardens, Oxhey & I remember your pet rabbits at the top of your garden & your mum toasting & drying out bread for them on the top of your range, which I loved to nibble at. My Auntie Ivy & Bill Fisher lived opposite your parents. I recall your Dads car & his association with the Watford Harriers. I remember our regular holidays to Clacton-on-Sea & the many times you ended up in intensive care because of your severe asthma attacks. Clacton air was not ideal for your condition, but your parents loved visiting there as they had friends there & we stayed at their guest house near the front. I still have a photo of us on holiday. As we played on the beach we used to bury each other in sand, as children do, but not the ideal thing to do with a little lad prone to asthma attacks. I used to enjoy spending time combing your sister’s lovely long hair. I think her name was Brenda & she emigrated to America. I stand corrected if wrong. The last time I saw Auntie Francis was in Abbotts Langley in the 1970’s in passing. Such memories. Hope you are well.